Dragon fruit is a staple food in parts of Asia including Thailand, Taiwan, Vietnam and the Philippines. Dragon fruit is a wonder fruit because it provides multiple health benefits. They are also eco friendly, as they protect the environment by absorbing carbon dioxide at night and release lots of oxygen into the air. Dragon fruit is shaped like a football. The varieties are red flesh, white flesh and yellow flesh embedded with hundreds of black seeds. Among the different variants, the red-flesh fruit is the tastiest and sweeter than others. Another name for dragon fruit is Pitaya. The crunchy seeds found inside provide a textured sensation. It is hard to resist its yummy taste when it is spooned straight out of that intense fuchsia skin. Growing on cactus plants as an epiphytic dragon fruit is botanically named Hylocereus undatus as it blooms at night. With its origins in the tropics of South America, dragon fruit thrives in South East Asia where it is grown commercially. It is easy to grow Hylocereus as a houseplant as it blooms from seeds or cuttings. The plant only requires faint moisture and braves any drought. 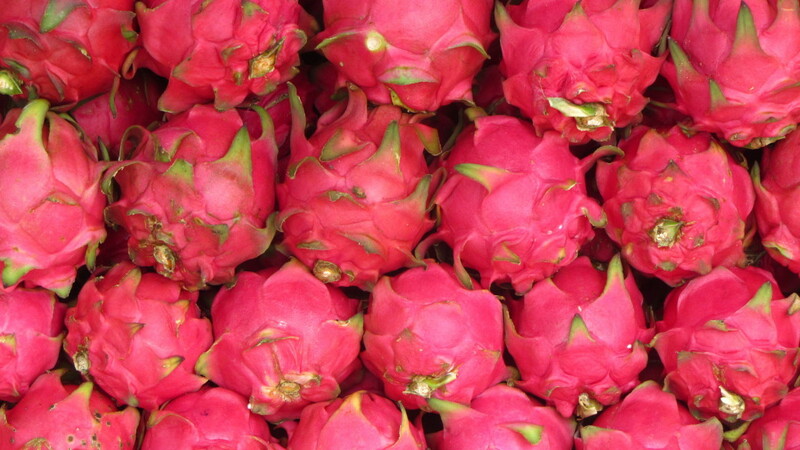 Those visiting Thailand have the opportunity to not only taste fresh dragon fruit , but also to see them in big quantities. A fruit farm tour to Suphattra Land in Rayong will be absolutely delightful. Most hotels in Thailand serve sliced dragon fruit as part of the breakfast buffet. 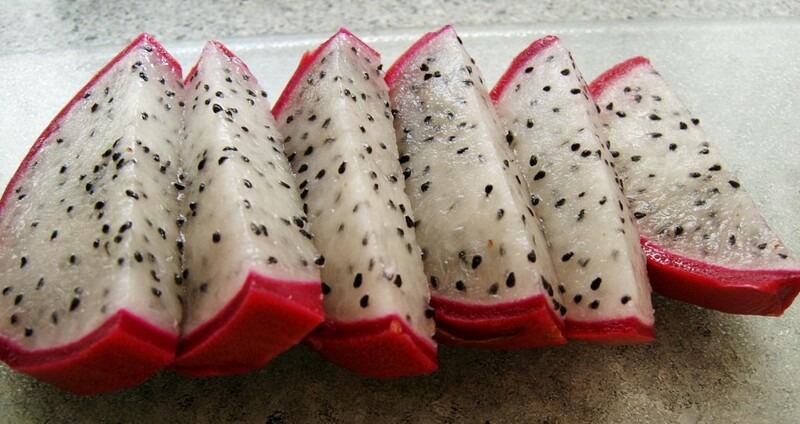 Low Calories: Dragon fruit are very filling and delicious, great for weight reduction. A 100 gm serving of dragon fruit yields only 60 calories and full of complex carbohydrates which break down easily during metabolism. Cholesterol: Dragon fruit poses no risk of cholesterol, saturated fat or transfats. If consumed regularly, dragon fruit can help in managing blood pressure and cholesterol levels. Fiber Rich: Dragon fruit are very rich in fiber. Health issues such constipation and indigestion can be solved by consuming dragon fruit. Vitamin Rich: Dragon fruit contains a lot of vitamins such as B, B1 and C. Eating dragon fruit is good for strengthening the immune system and to enhance the healing of wounds. The presence of vitamin B1 promotes better carbohydrate metabolism, B2 for recovery and appetite and B3 to improve skin condition. Phyto Albumins: Since dragon fruit contains lots of Phyto albumins with high antioxidant properties there is no fear of any cancer cell formation. It also accelerates the excretion of heavy metal toxins from the body. 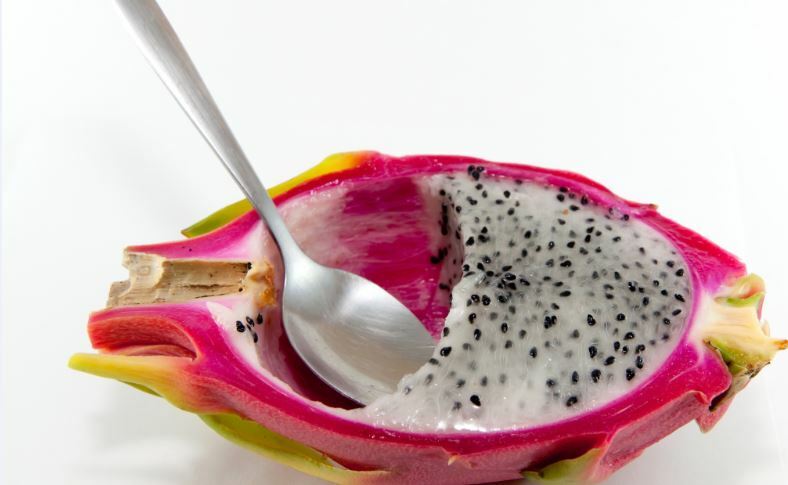 So, next time you dine at an authentic Thai restaurant do treat yourself and family to a few slices of dragon fruit and experience its taste and attributes.